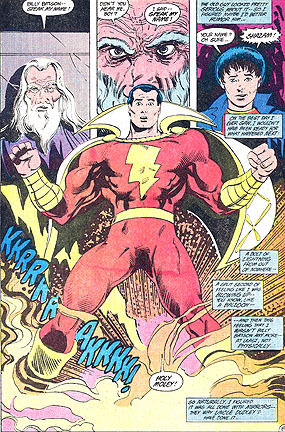 Origin: In San Francisco, young Billy Batson is adopted by the man who murdered by his parents, his uncle Dr. Sivana. The boy escapes and meets a mysterious stranger who leads him down a forgotten subway tunnel to the wizard Shazam. 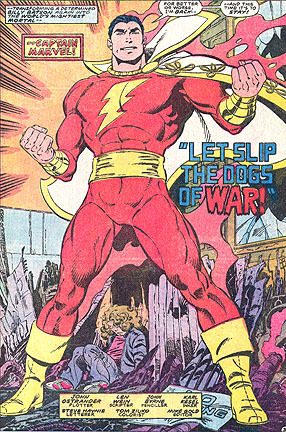 The wizard gives the confused boy the body and powers of Captain Marvel! All characters and images herein are copyrighted by their respective copyright holders.